The Indian adaptation of the BBC series of the same name is being streamed on Hotstar. Criminal Justice, which is being streamed on Hotstar, is a crime thriller, court drama and police procedural rolled into one. The Hindi-language series is based on the 2008 BBC show of the same name, which was written by Peter Moffat. The Indian version has been adapted by Sridhar Raghavan and directed by Tigmanshu Dhulia and Vishal Furia. Criminal Justice (2019). Courtesy BBC India/Applause Entertainment/Hotstar. There are two central characters in the Mumbai-set drama, which unfolds over 22 months. 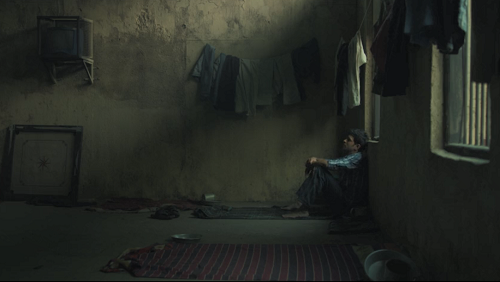 Aditya is bewildered by the criminal justice system and in the throes of an intensely painful, violent and transformative journey in prison. Lawyer Madhav (Pankaj Tripathi) is caught up in exploiting loopholes in the legal system for his own benefit, while long-suppressed guilt is eating him up inside. Through Aditya’s case, Madhav finds way to redeem and heal himself. Among the characters who populate Criminal Justice are Mustafa (Jackie Shroff), a gang lord reigning over a fiefdom in prison, Aditya’s sister Avni (Rucha Inamdar), a tenacious woman whose tussles between emotion and workaday demands manifest while the family is fighting the legal battle for Aditya, and Mandira Mathur (Mita Vashisht), an ambitious lawyer who takes up Aditya’s case. Mandira has a determined assistant lawyer, Nikhat (Anupriya Goenka), who completes the case along with Madhav. There is police officer Raghu Sallian (Pankaj Saraswat), unflinchingly devoted to punishing the guilty. 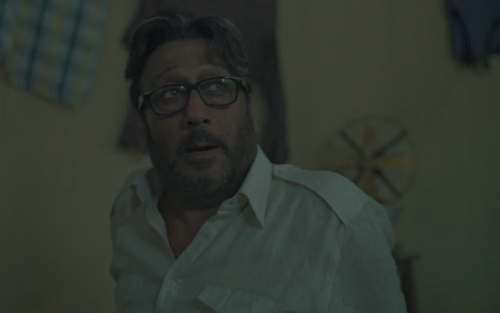 Jackie Shroff in Criminal Justice (2019). Courtesy BBC India/Applause Entertainment/Hotstar. The crime drama has worked marvellously as a genre of choice on digital platforms – perhaps for the obvious reason that it allows the viewer to watch all episodes back-to-back. As a result, audiences are exposed to crime dramas with diverse sensibilities and writing, including atmospheric murder mysteries and grippingly plot-driven police procedurals. Broadchurch is a textbook example of excellent writing, complicated characters who are revealed organically through the episodes, a perfect sense of the setting, and just the right number of hours for a murder mystery without unnecessary padding. Another example, Mindhunter, is like a primer or origin story on the history of serial killer dramas in America. The ones that stand out have something new in the way they look at crime and the world enveloped by a particular crime, besides the plot hooks that a series requires. Criminal Justice suffers from a lack of this exact newness in treatment and storytelling. The premise that the journeys of two men (Aditya and Madhav) running on parallel tracks, but in a way that one’s second chance at life could also be the other’s, is clear only after the first three episodes. By then, there is a lot happening, but more to further the plot than to support a central idea. 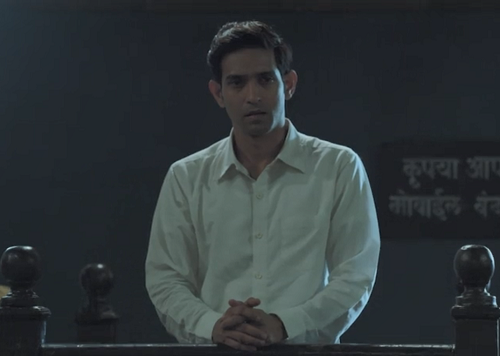 Vikrant Massey in Criminal Justice (2019). Courtesy BBC India/Applause Entertainment/Hotstar. Tigmanshu Dhulia, a director known for his interest in form, and Vishal Furia, don’t have a distinctive visual language. Some bits are direct throwbacks to scenes we have seen in films and TV serials: a prisoner hopelessly entering a jail, through a pathway lined on both sides by flailing hands and voices booing him. There are some gorgeously shot sequences, but some are also shockingly banal. Both directors use slow-motion generously in crucial scenes to enhance their emotional impact –again, an overused, tiresome trope. The background music is all too familiar and without a recognisably modern or eclectic theme – from operatic notes in climactic sequences to melodious Indian instruments complementing emotional moments. Everything in Criminal Justice is spelt out, explained, spoken. 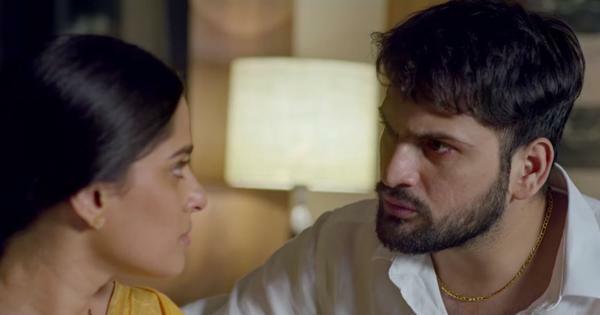 Pankaj Saraswat and Mita Vashisht in Criminal Justice (2019). Courtesy BBC India/Applause Entertainment/Hotstar. The two men in the lead roles perform superbly, but the casting for smaller characters seem like an afterthought. These include the jail inmates Aditya befriends or the psychologist whom Madhav consults for treating a skin infection. In a series that expands into subplots and parallel tracks, smaller character could add flavour and momentum to the story. However, Criminal Justice is cast like a feature film that rests on the performance of three or four actors. 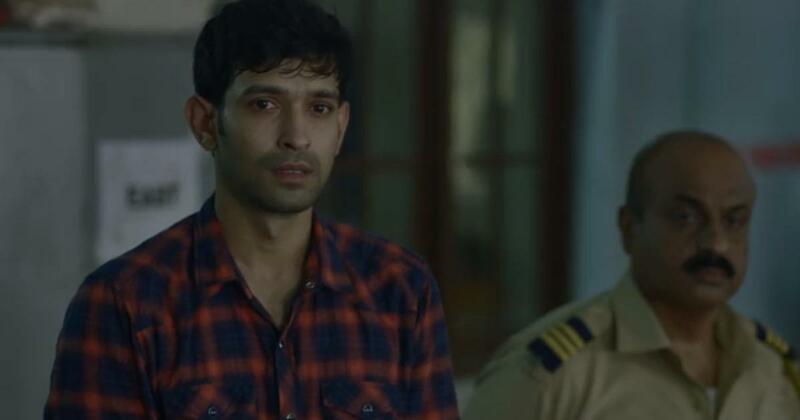 Vikrant Massey and Pankaj Tripathi are the reasons Criminal Justice is so eminently watchable. Massey has been in a variety of roles in the recent past. He slips into Aditya’s skin without any effort showing, and makes his transformative journey compelling. Tripathi’s character starts taking off halfway through the series, when we realise how he is struggling to reconcile the conflict between idealism and guilt and how his past emotions, epitomised by an eczema infection on his feet, needs to be washed up to the surface so that he can move on with his present. This psychological strain is underdeveloped, but still an intriguing aspect of the character. Tripathi catches a note that combines cynicism, tenderness and grit, and sustains it till the last scene. Pankaj Tripathi in Criminal Justice (2019). Courtesy BBC India/Applause Entertainment/Hotstar. Jackie Shroff as the ageing prison gang lord has a patchy arc – he is too caught up in tricks in the beginning and more coherent and fleshed out towards the end. Mita Vashist has little to do except use a body language that makes her a stern, heartless lawyer. Most of Anupriya Goenka’s scenes are with Tripathi, and even with a good performance, she is overwhelmed by Tripathi’s singularity. Pankaj Saraswat is monotone and stereotyped in his role of an honest police officer. Criminal Justice works because of the story and its two central characters. The viewer is invested enough in knowing what happens to them at the end. But it is also far too long, and a little too safe and familiar in the way the subject has been treated and Indianised.